Hey everyone! Believe it or not, I get this type question fairly regularly and there has seemed to be some customer confusion especially these past few months about my actual “job”. There’s been a lot of evolution and recent changes to my personal career, so I figured I would write a blog post to explain and clarify everything. Grab a cup of coffee or even a glass of wine, because this is going to be a long and detailed post! I know it may seem a little personal for someone to ask me what my job is, how I make money or even how much money I make – but I’ve learned to not take it personal. Everyone who follows me is my current or potential “customer” in some sort of way, so I don’t mind breaking it all down. You’d be surprised over all the questions that make their way into my inbox sometimes! What Do I Consider to be My Job Title? Well, I actually have many. Let me start a little bit in the past to give you some history that’s lead me to where I am today! While a student at Texas A&M University, I started making handmade necklaces for myself. My friends all wanted some, and then people I didn’t even know wanted to purchase my handmade designs. In December 2007 (during my Sophomore year of college) I went to the local courthouse and filed my first DBA “Doing Business As” and this was the start to many entrepreneurial ventures for me. So when I graduated in 2009, I decided to put my offer for a Master’s Degree on hold to see what I could make happen with my business. A feature in the USA Today, online store, mall kiosk, 2 retail locations, 4 expansions and a member of the Aggie 100 in 2015 (Yes, SJ was named the #11 fastest growing Aggie owned business in the world based on sales alone from 2009-2014) – Southern Jewlz Boutique was a very fun and booming business for me. Then 2016 hit. Retail started changing. More people were scrolling on social media and checking out online than were actually coming in the store to shop in person. With a new married life coming soon for me in February 2017, I decided to move the company online only in January 2017. A few months after we got married I actually launched this lifestyle blog. I understood that consumers were starting to trust individuals more than brands or businesses. As hard as I tried to promote other employees and brand models for Southern Jewlz, it just kept seeming like people still consistently wanted to see me in front of the camera. Now in order to face the camera more, I personally felt I needed to get in a little better shape to be more confident in all of my pictures. 2016 was the year I lost all my weight before my wedding, but January 2017 is also the time that I started lifting weights and strength training – something that would become crucial to my personal career without me even realizing it. Up until 2018 my primary means of income was based on the sales made through Southern Jewlz Boutique. 2017 allowed me to focus online only and start blogging and engaging with my audience that I had been building since I first started my Southern Jewlz business. Yes, I made a little money on my blog at this point – but not enough to sustain or be a full time blogger. In 2018 I tried having a small storefront again at The Beauty Market, but my time was so limited and I could get so much more done in my office on the internet than in person with a client or two. This was the eye opening experience for me that I was burned out of all that duties Southern Jewlz required of me, and I was ready to move forward on the next portion of my fashion-based career – and that was to start designing my own clothing label! This has/had been a dream of mine for years!!! 2 trips to Los Angeles that Spring and Summer – I was working on launching in the Fall of 2018. Now here’s where the unexpected kicker is about to happen to the timeline! In 2018 I became a fitness influencer for a program that I started doing. I had hundreds of my followers join me and I truly helped the company go from just a handful of clients to a booming company. I loved living a healthy and active lifestyle while getting to share my same journey with so many people who had followed me for years. I had NO PLAN of launching my own fitness app. I actually did not want to because I knew how much work it would take! With launching Randa Carrabba The Label (my own clothing line) and getting Southern Jewlz Boutique prepped and ready to sell – there just wasn’t much extra work time to where I could take on another big project. However, I truly believe in trusting all the signs that God places before each of us. After listening to many customer complaints and even a revelation from one of the leader’s old mentors, I knew I couldn’t continue influencing for this company based upon all the red flags that were being raised. So, I decided to quit my fitness influencing only a week before I was set to launch Randa Carrabba the Label. Not ideal timing to handle a big change!!! After I announced this change, I spent an entire 3 days talking to and listening to issues from my followers. 3 full days!!! There were so many continuous signs from God that I did the right thing in leaving – even if I didn’t have a plan or know where I would lead all the women who followed me for fitness. I had to push back the launch of Randa Carrabba the Label a week after spending many days of diving into conversations with many of my followers. So on October 12, I made one of my many business dreams come true in the fact that I launched my first ever collection for Randa Carrabba The Label! The collection is available for purchase on my personal website (linked here at www.randacarrabba.com/shop) and I also wholesale to a few select stores/boutiques across the country. I had an incredible launch, and after a week or two of dedicating all my new time to my fashion label, I knew I had to get a plan together for the fitness influencing part of my career. Side note, 2018 is when I realized that influencing/blogging was starting to make me some substantial income. Enough that I knew I could step away from Southern Jewlz Boutique and sell that company. I just didn’t enjoy doing ALL THE TASKS of running a small boutique or business anymore. I announced Southern Jewlz was for sale in November, sold the company in February to a precious women named Stormy Hannah, and ever since I have been coaching and training her on how to run and grow this business. I am still an influencer for the Southern Jewlz brand – and plan to continue to be for the full time span that the company is in business. You can always use my code “Randa10” to save money at checkout on all your online orders at www.southernjewlz.com! Back to fitness influencing – I started reaching out and trying a few other programs the middle to end of October. One thing I was very worried of was truly being able to direct my community to a company built on authenticity, integrity, honesty as well as a leader who truly lived the actions that she talked about online. As much as building and launching my own fitness app was never in the journey (and came about at a really bad time since I had just launched a new company) I had to listen to all the signs that God kept placing in front of me. My esthetician (who I have worked with for over 2 years and helped her business to grow and thrive with my blog!) highly recommended her professional strength trainer to me. I set up a call, told him what I was looking to build, and we just hit it off! When I told Grant I knew he was the one, I made them talk on the phone. Grant said the same thing as me as soon as their convo was over! I knew that my community deserved a true professional strength trainer and nutritionist. I had no desire nor time to get my certification, so I decided to team up with one of the best. Ben listened to what I wanted my program to be like, what goals I wanted women to be able to obtain. He also listened to the concerns that I knew my community would have – not wanting to bulk up and look “manly”, not wanting to become to “stiff” from strength training, as well as the importance of true rest and recovery for long term success. Ben wrote a very authentic and incredible program for me that I then created into a virtual web app for my community to benefit from. After working extremely hard in November and December (even on Christmas Eve and Christmas Day), we somehow hustled and were able to launch the PowHer.fit web app on January 12. My goal was to launch the beginning of the year, but we just honestly didn’t have enough time. Since the launch, we have done 2 big series of upgrades to the PowHer.fit fitness app and I am finally to the place where I love the app that’s built and believe it is extremely user friendly! Now what about Randa Carrabba The Label? Well, I’m in the process of creating my next collection. It’s launching much later than I originally planned for, but I had to give myself the appropriate time to build, launch and take care of my new PowHer.fit community. I also needed to focus a lot of time an energy on choosing the best fit applicant to purchase Southern Jewlz and to help the new owner get educated and on her feet. As for blogging – I’m still hanging in there as well! I would definitely say I’m only a part time blogger (there’s no way I could ever be a full time blogger while also being a new fashion designer and fitness app owner), but my community has continued to grow and become even more loyal and trustworthy to the content I share online. Once I’m able to grow my personal team a little more and take some day-to-day responsibilities off of my plate, I plan to increase my blogging content a little more and obviously I plan to do a lot more designing and growing of my own fashion label. 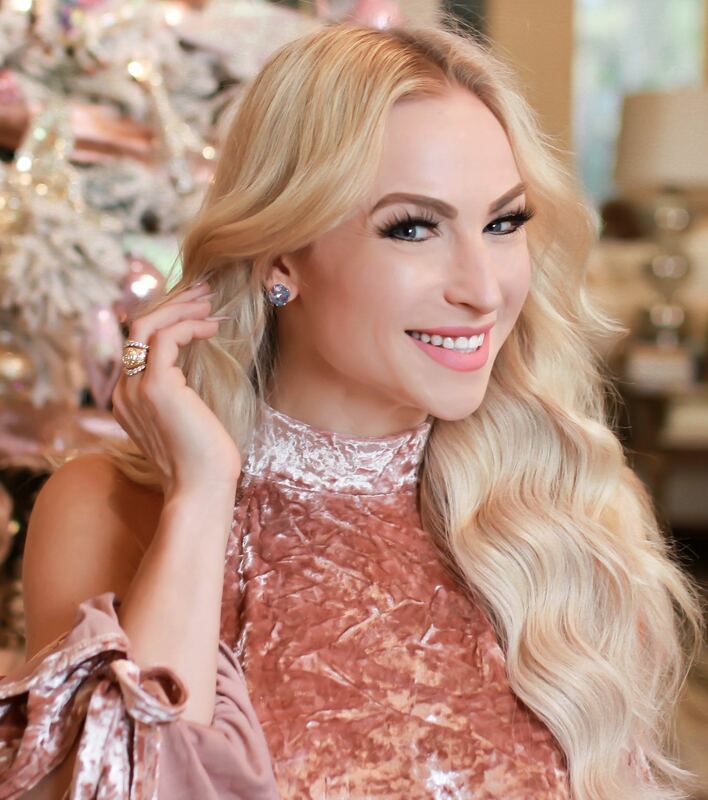 Content Creator for Randa Carrabba Lifestyle Blog, Randa Carrabba the Label, PowHer.fit Fitness App Owner and Influencer/Affiliate Manager of Southern Jewlz Boutique. To further break down my PowHer.fit content creation, I film future workout videos 1-2 days a week and then have to edit them, record voice over audio coaching commands for each of them, and plug them in on the back end of the PowHer.fit app. I run all of the social media marketing, email blasts, oversee the community forum and giveaways currently hosted for the company. I just accepted 30 PowHer.fit influencers a few days ago that I will soon be coaching and managing closely to 1) help them reach their own fitness goals and 2) help me to grow my PowHer.fit brand! As for Randa Carrabba the Label, I am in charge of design creation, the beginning stages of fabric selection (which is then handed over to another team member who comes with 8+ years of fabric and product creation), as well as all of the marketing, photo shoots, and branding components of the business. I’m lucky to have help in the manufacturing, sizing, quality control and shipping segment of this company. I currently oversee all of the customer service, support and billing for both PowHer.fit and Randa Carrabba the Label. I do have help as far as bookkeeping and accounting because that is not my specialty! I will soon be looking to add to my team to help me to continue to balance all of my “jobs” and to also keep a work/life balance. It was ok to be a workaholic a few years ago when I was single, but now that I have a precious little family of my own I am trying to cut back some of my work hours! Having an incredible team (the small team I already have as well as the future members I will add) can truly make all the difference as to whether or not my business will be able to sustain a growing rate! As far as blogging goes, I do work closely with a few brands that I truly use and believe in to help them grow their businesses with the audience that I’ve built over the past 10 years. So I handle photo shoots, social media content, blog posts and interactive giveaways on my blog and social media. It is a very rewarding part of my job to see other businesses and owners start to grow and thrive with the customers and sales that I can bring to them. When I accept a blogger/influencer role for another company, I am either paid based on commission of sales/new clients I bring them, a flat collaboration fee, or a combination of both. Since the beginning of February, you could also say I have been a business coach for the new Southern Jewlz Owner. I no longer handle any of the shipping, customer relations, buying, merchandising, website design, inventory management, emails, exchanges, returns or other requests that used to come as part of my job when I was the owner. I also made money from growing and selling this business to somebody else and I continue to have a source of income from Southern Jewlz based on the sales I send their way! 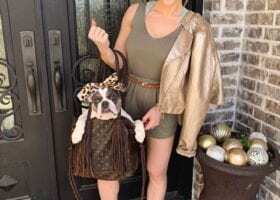 Now if all of that doesn’t seem like enough to keep me busy, I am also a wife to my husband Grant and a proud miniature English Bulldog Mom to Bucky and Barbie Love. I also have plans to do an addition/expansion component to one of my businesses in the next 2-5 years as well as launching one more company also in the next 2-5 years. Each of these ideas are truly incredible and I am so excited to bring them to real life, but for now I’m a little tired and launched out. I’ll be focusing only on my fashion label, the PowHer.fit app, my lifestyle blog and growing my team until then. When the time is ready and I feel I have enough help and am refreshed enough – I will then and only then make that addition and new launch. So moral of the story, I am busy, evolving, thriving and have even more planned for the future. How much money can an influencer or blogger make? Let’s just say I truly believe that I make more money working for myself than anyone else in this town would be willing to pay me. Even if I wasn’t a business owner, I would feel I could have the time to blog/influence full time and still make more than anyone else would pay me to work for them here in Bryan/College Station. I’ve had great years in business, and I’ve had hard years where I’ve lost money, but the experience and lessons I’ve learned over the past 10 years are truly irreplaceable and have helped me to grow and flourish today in ways I never imagined. I really have to give credit to my husband for encouraging and teaching me to be a diversified entrepreneur. Not every business is going to continue to grow in sales and profit from one year to the next. There are going to be years that are stagnant and come with plateaus, and then there are going to be years where that specific industry may be flooded or the market isn’t in the business owner’s favor. Being a business owner/influencer of and for multiple businesses really allows me many avenues to be profitable and grow. Having more than one source of income is an incredible thing!!! So that’s my “job” in a nutshell. There’s really no short way to describe it. I also put in on average 60-85 hours a week, which is actually lower than when I had a storefront a few years ago. I hope to get down to 40-60 hours a week within the next year or two as well! If you have any additional questions or if you are a business owner wondering if I can help grow your business, I would love to hear your feedback below. I’ll be sure to engage back on all the comments on this blog. Thanks for taking the time to read such a long post and to learn more about my professional life! Really great blog! Thanks for sharing! !